"Hello! I am a little disappointed because my Notes icon is missing on my iPhone. Please tell me what to do. How can I fix this problem?" 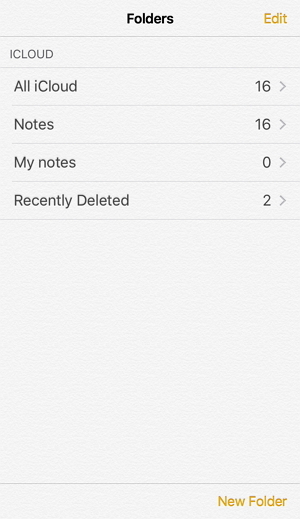 The Notes app is indeed a useful app for iPhone users as it helps the users to keep the important details or lists saved and make it convenient whenever they want to see that information anytime. The moment can be hard when you found Note app disappeared in your device. We have listed some suggestions and fixes that you can attempt to get the Notes app back in your iPhone. First of all, please keep in mind not to restart your iPhone when you see Notes icon disappeared. Doing this may end up in losing the notes forever. So, the first advice is not to restart your device. Secondly, go for trying iMyFone D-Back to recover your lost notes. iMyFone D-Back is an expert program that can do data recovery with just few simple steps. 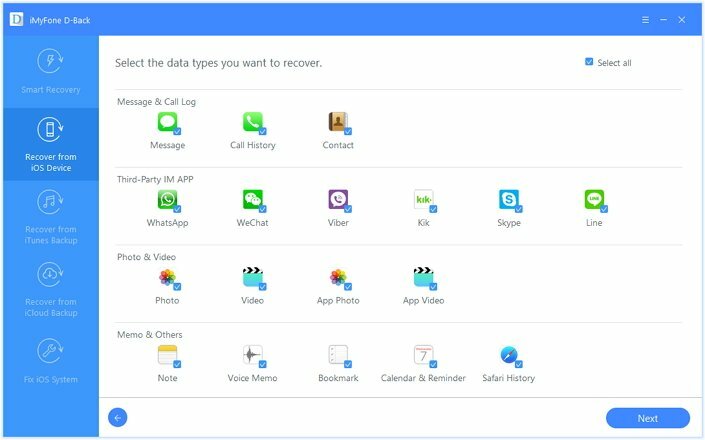 You are able to recover 20+ types of lost, deleted or missing data like messages, contacts, notes, photos, WhatsApp data, Viber data, etc from your iPhone/iPad/iPod or iTunes/iCloud backup. It also has "Fix iOS System" feature which makes it possible to repair various iOS issues without any data loss. The tool is suggested by lots of users and most popular media sites like Macworld and Makeuseof as well. 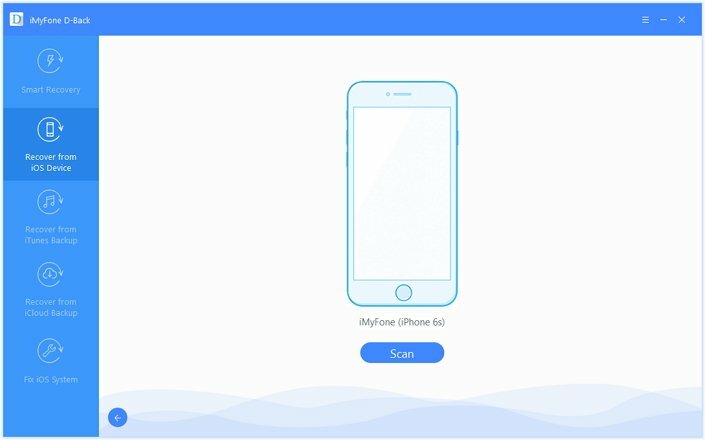 The tool is completely able to support iOS 11. 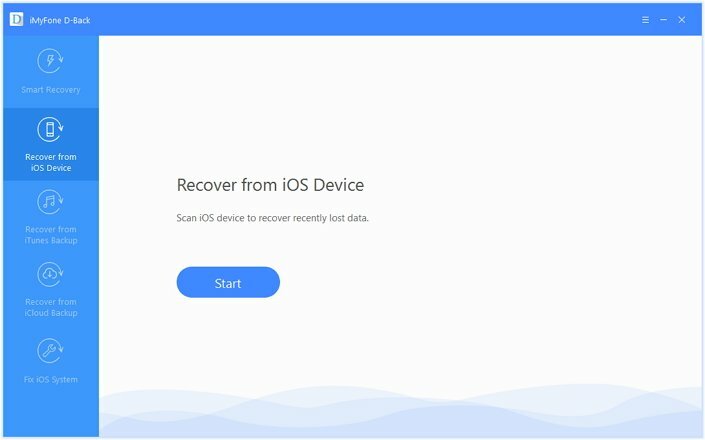 Step 1 – Launch iMyFone D-Back in your computer and proceed to select "Recover from iOS Device" tab. Step 2 – Hit the "Start" button now and you will observe the file types on the screen. Choose Notes from there and connect your iPhone to the PC. Step 3 – The program will read your iPhone and you are required to click on "Scan" button to proceed. Within a while, the program will display the deleted notes on the screen. You can preview them and then choose what you need to recover. You can also reset your home screen layout if your Notes icon disappeared. 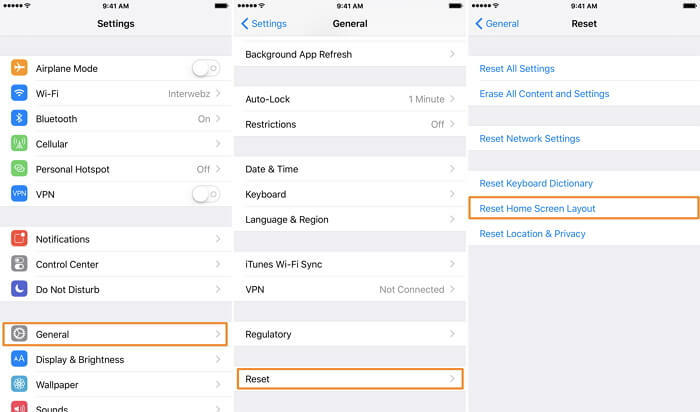 To do this, head on to "Settings" > "General" > "Reset" > "Reset Home Screen Layout". Doing this will bring Notes icon back on the home screen. Check if this has worked. If not, there must be another problem. Just move on the next solution. Sometimes you may not find the Note app when you put it in a particular folder especially when there are many apps and folders on your iPhone screen. 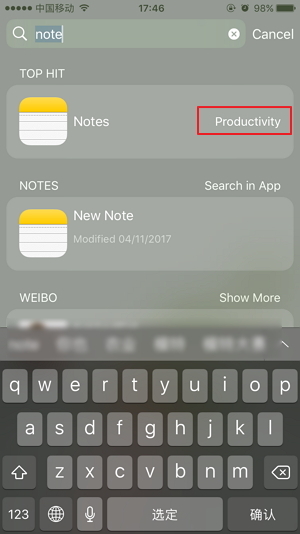 The search feature can help you finding the app quickly when you find your Notes icon is missing in your iPhone (at least you think so). You just need to swipe down the screen from the top. Type and look for "Notes". The feature will show the result and you will be able to find the app. For example, in the image below, you can find the Note icon is the the "Productivity" folder. When the Note app disappeared, the easiest way to get the app back is reinstalling it. This is only possible if you have earlier enabled the Notes app in iCloud setting. That means your notes have already synced to iCloud. Reinstalling will recover all your Notes if the app is synced with iCloud. Here are the steps for this. Open "App Store" and touch on "Search". Type "Notes" and look for the app. Subsequently, re-download it and launch the re-installed app. Tap on "Go to Settings" to let the app direct to iCloud. 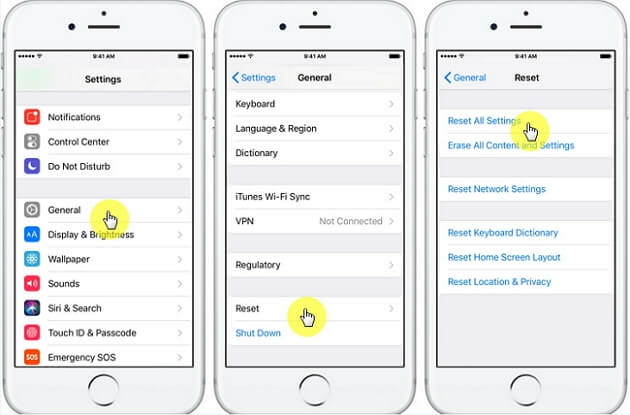 Enable Notes in iCloud settings and your notes will recover. Here is another and the most common fix to try and it has worked in nearly all issues. Reset your settings by going to "Settings" > "General" > "Reset" > "Reset All Settings". Enter passcode and tap "Reset All Settings" once again to verify the action. You can either restore your device with iTunes or iCloud if your Notes app is missing on iPhone. However, the solution can’t be considered as the ideal one but, you will get few of your notes back at least, but all the other data will be ovewritten with the backup. Open iTunes on PC and connect iPhone with PC using USB cord. Click on the phone icon at the top and go to "Summary" tab. Now, hit on "Restore Backup" and you will get your Notes app back. You need to erase all settings first. Just head to "Settings" > "General" > "Reset" > "Erase All Contents and Settings". Now, reboot the device and then touch on "Restore from iCloud Backup" followed by signing in to iCloud. 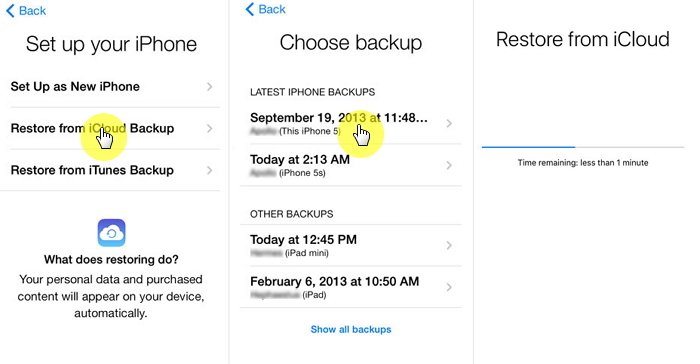 After this, tap "Choose backup" and select the backup from the list of available backups. 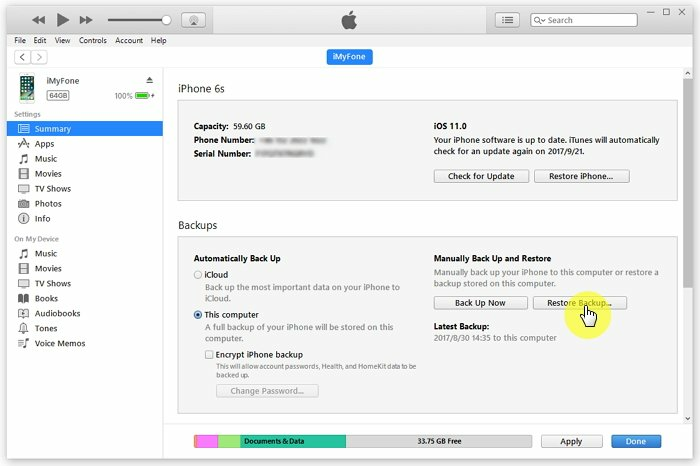 The Settings and accounts will be restored from iCloud backup and the device will restart and will download your purchased music, apps, photos etc. This way, your Notes app will also be recovered. We offered you some easy and helpful fixes you can go for when Notes icon is missing on your iPhone. 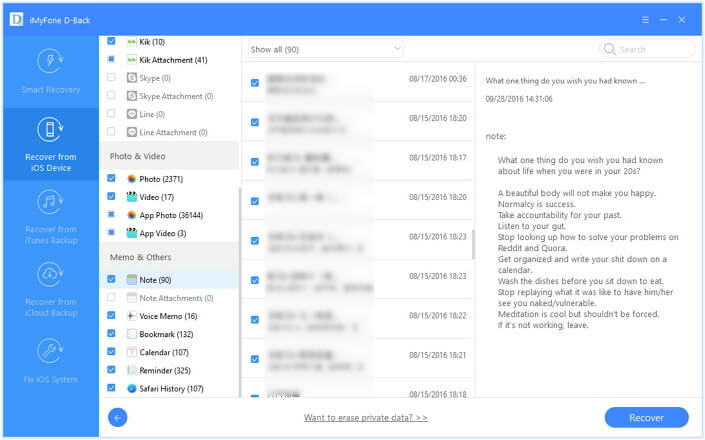 Notes, as we mentioned in the beginning is one useful app and many people get depend on it to store some important details and information. Losing it or finding the Notes icon disappeared can be frustrating. Thus, we made an effort to provide the best you can do in the situation. Hope you found this post useful.